This is the only thing of my haul that I have tried out so far because I actually bought this little trio on Tuesday but I really wanted to include it. 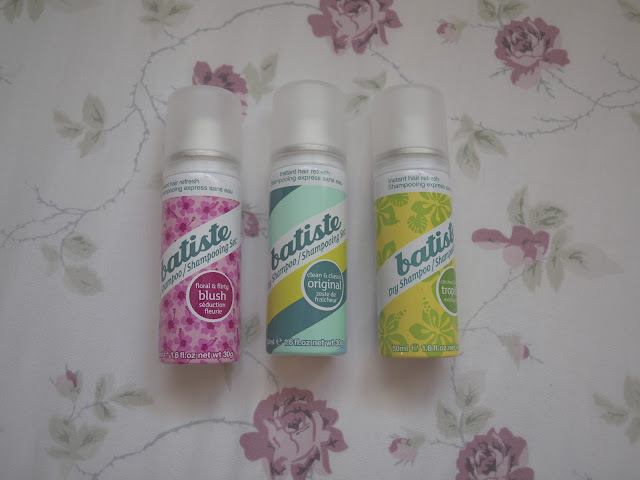 You have probably heard of the Batiste dry shampoo before, but I am going to take a second and put my 2 cents into what I think about this product. Lately I have been trying to only wash my hair every second day, and I ran out of my tresemme dry shampoo which I was just using to try and finish off (I didn't think it worked too well). I have heard of the batiste dry shampoo before and I thought this was a perfect time to try it out, and I actually really really like it! It is really easy to brush out, makes my hair look super clean, and they all smell amazing! 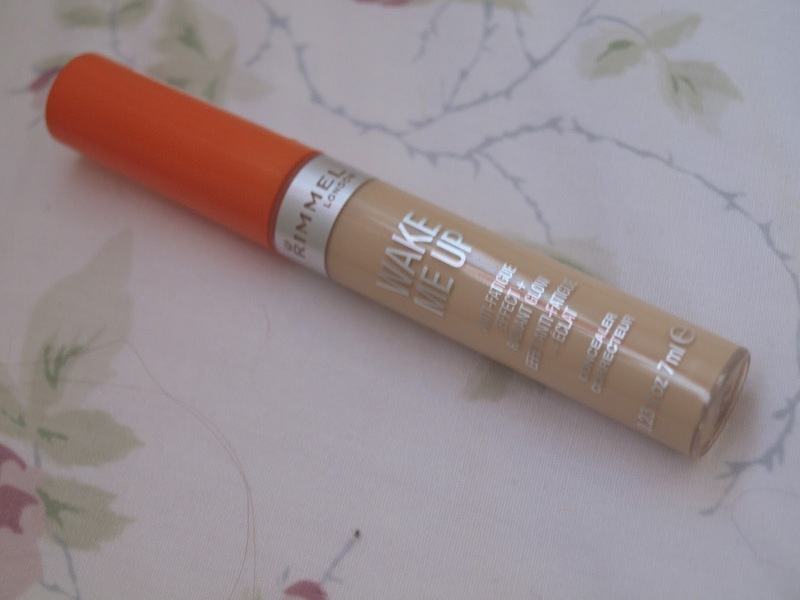 I have heard many great things about the Rimmel wake me up foundation and I thought why not try the concealer since I am almost out of my magic lumi concealer. I haven't tried this out yet, so I hope it works as nice as the foundation does! At the moment I have a tube of the Benefit they're real mascara and I hate using it every day because it is so darn expensive and I would like to savour it... In result I picked up a mascara that isn't as expensive so that I can use the hell out of it without feeling bad. I picked up this mascara because the Maybelline great lash mascara has always been one of my favourites, and the brush looked very interesting to me (It also didn't hurt that the price was only $5). In my opinion, a girl can never have too many nail polishe colours, which is why i probably buy a new colour every 2-3 weeks. Since I broke my Essie "Play Date" nail polish a couple weeks ago, I thought I may as well buy myself a new purple colour. I have seen this colour in pictures of peoples nails before, and it looks way nicer than in the bottle. Hope you liked today's haul, I think that it was a decent amount of stuff. 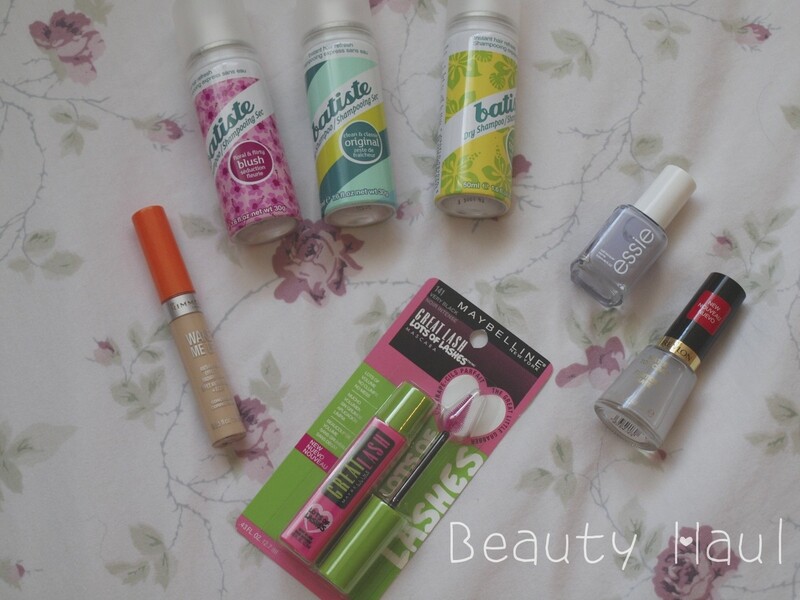 I just saw so many great drugstore products that I had to get and I am very happy with every single item. I do the same thing for the mascaras. I love the shade of your essie nail polish ! I'm a big batiste fan too, and I love the Essie colour! I have to say, I really love your blog name/title. Nice. Would you like to follow each other on GFC and bloglovin'? :) I will follow back! thanks for the comment on my blog, I'm a new follower here, follow back? 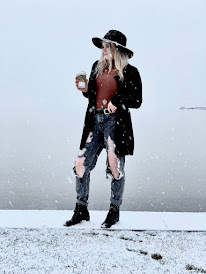 I am following you on bloglovin, maybe follow back?